New Brand of Solar Power Bank technology. Take your electricity with you where ever you go. A renewable energy source for your families recreational power supply. Cameras, Ipads, laptops, Smartphones. 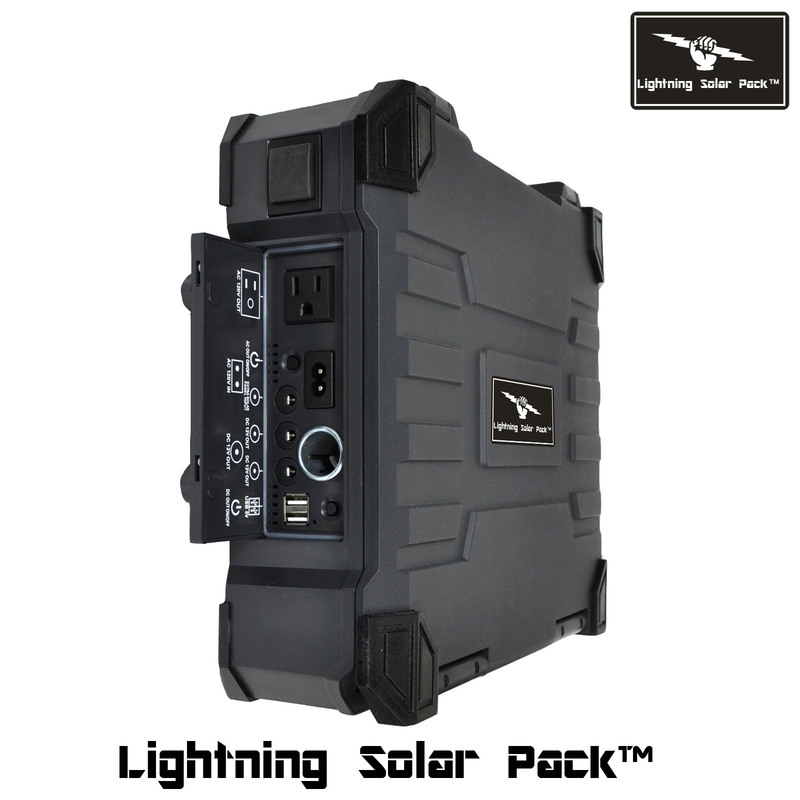 350 watt max load with a 50 watt solar charge capacity. You can use this as a power source for medical equipment, photography and power tools. Have an emergency on the go power source. Charges in your car while you drive. Charges on your home ac plug or with the sun for FREE.